The world’s biggest sporting event has finally arrived in SA and my parents (in their infinite wisdom) have decided to take a month long holiday to China and skip the World Cup frenzy altogether. We are leaving this weekend and I, for one, am quite excited not to have another Vuvuzela try to permanently damage my inner ear. Seeing my family again will be an absolute joy, and I cannot wait for my aunts and uncles to spoil me rotten. In preparation for the trip, I have made a list of all the things I need to buy in China. 2. Shades – I have come to accept the sad reality that shades sold in SA are solely for the long-nosed. Every time I try on a pair, they invariably start sliding down my face as if my nose is non-existent. 3. Reading glasses – A pair of spectacles that cost a couple of thousand can be bought for under R300 in the land of cheap slave labour. 4. 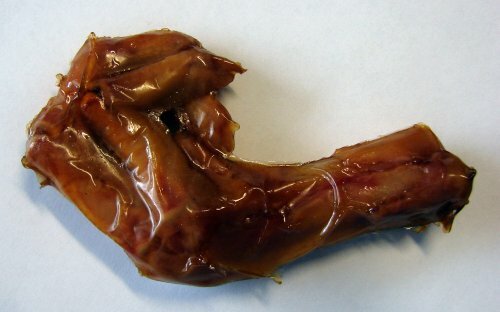 Junk food – I was quite surprised to find the other day that they have duck feet vacuum packed in tiny little pockets and are widely available at supermarkets. Mmm, finger snacks! 5. External hard-drive – Same reason as #3. 6. A big bag – You know, those shiny ones the Commerce girls always use to put their text books in. To be quite frank, I’ve been envious of their fancy bags for 2 and a half years because the only thing I have for my books is, well, my book bag. Sure, the double shoulder strap is comfortable and it spreads the weight nicely, but let’s face it: they simply do not compliment my outfits! “It is a World Expo in the tradition of international fairs and expositions. The theme of the exposition is “Better City – Better Life” and signifies Shanghai’s new status in the 21st century as the “next great world city”. It is the most expensive Expo in the history of the world’s fairs. The Shanghai World Expo is also the largest World’s Fair site ever at 5.28 square km. I will be taking tonnes of photos and will update my blog in due course. a World Expo in the tradition of international fairs and expositions. The theme of the exposition is “Better City – Better Life” and signifies Shanghai’s new status in the 21st century as the “next great world city“.